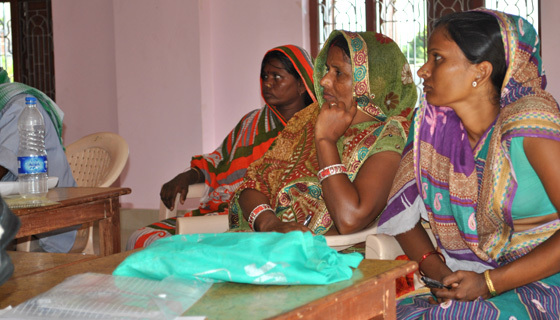 Women and the socially disadvantaged groups make a core part of the WUMP committees. In the floodplain Bakdhuwa village development committee of Saptari district, eastern Nepal, local communities often face challenges related to water and disaster management. Most of the communities there depend on agriculture for their livelihoods. They have been struggling to increase access to irrigation and drinking water even as they deal with regular flood disasters. Lack of water and flooding both impact their agriculture-related livelihoods adversely. “Our problems will worsen if our communities fail to act together,” said local farmer Rekha Yadav. She is among several female farmers who are beneficiaries of the Water Use Master Plan (WUMP) initiated by the Koshi Basin Programme (KBP) at the International Centre for Integrated Mountain Development (ICIMOD), and HELVETAS Intercooperation. They are helping local communities develop WUMPs in Saptari, Sindupalchowk and Sindhuli districts of the Koshi basin with support from the Australian Government’s Department of Foreign Affairs (DFAT) through the Sustainable Development Investment Portfolio (SDIP), South Asia. WUMPs are locally prepared plans with five-year outlook strategies to ensure equitable water management, especially for women and the poor. ICIMOD and HELVETAS are using a river basin approach to help upstream and downstream communities work together on water and disaster management through the initiative. 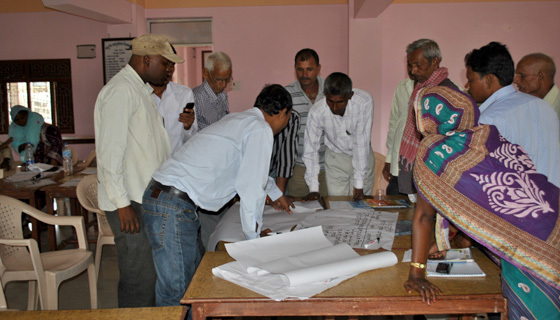 In December 2016, they brought together communities from four village development committees (VDCs) – Bakdhuwa, Jandaul, Mainakaderi and Lohajhara – to create a forum for discussing important issues at the watershed level. Usually, such water planning is limited to the VDC level. “It would be difficult to sustain water management if we focused only on our own VDCs. But I’m glad to know that we can now collaborate at the watershed level,” said farmer Ram Chaudhary. Over 20 participants from these four VDCs attended the workshop in December. A watershed level committee representing the local communities and VDC secretaries has also been set up. Chaudhary and his fellow participants talked about how the planning workshop was a valuable platform on which to have interactions on common water challenges at the Mahuli watershed, which is shared by communities from all the four VDCs in Saptari, from both upstream and downstream areas. During the workshop, researchers from ICIMOD and HELVETAS shared information on the advantages of watershed level initiatives. They discussed how WUMP members could play significant roles in generating discussions, and jointly plan and implement watershed related initiatives. The participants said that the forum was a good start for forging a collaboration. They said that their top priorities included dealing with flood-induced bank erosion, rehabilitating the Mahuli irrigation system, and reviving traditional ponds and wells. Their first act will be to approach government authorities and NGOs to seek their support for planning related to resource and technical support. “This was a good platform where we could resolve issues common to us and take a joint initiative to implement projects that are beneficial for all the VDCs,” said Yadav, who explained that women now have a good opportunity to participate in equitable water management at the Mahuli watershed level. World Water Week 2016: ICIMOD Will be There. Will You?